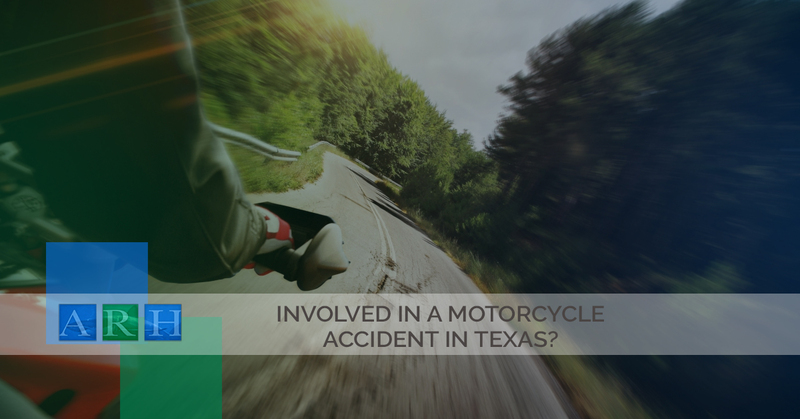 Involved In A Motorcycle Accident In Texas? People ride on motorcycles for a multitude of reasons. However, if you ask a motorcycle owner what it is about the past time that they like the most, you will likely hear a similar answer from each of them. There is something about the way it feels to have the sun on your shoulders, the wind in your face and the exhilaration and freedom that comes with flying down an open road. While we all know that riding on motorcycles is a fun-filled experience, we also know the dangers that come with this activity as well. This is especially true when you take into account the possible state of other drivers on the road. It’s well-known that a motorcycle is simply on match for a car, truck or SUV when it comes to the two being involved in an accident. Simply put, motorcyclists are at a huge disadvantage due to drivers of other vehicles being careless, inattentive or aggressive while they are on the road. This is when accidents occur. A car’s driver does not yield to a motorcyclist who is turning left across lanes of traffic that are traveling in the opposite direction. Since the driver of the vehicle likely does not see the motorcycle, they often drive straight into them causing severe injury and often death. A vehicle’s driver does not yield to a motorcyclist who is attempting to merge with traffic. A driver does not check their blind spots or turn on their blinker before they switch lanes. If you are someone who owns a motorcycle, it is beyond important that you understand the risks that come with a the hobby, despite how much you may enjoy it. When analyzing statistics, approximately 30 percent of all motorcycle accidents cause injury to the feet and legs of the person on the motorcycle, with about 22 percent of the injuries occurring to the neck and/or head. If this statistic doesn’t stress the importance of wearing a helmet while you are riding then we’re not sure what will. If you have been involved in a motorcycle accident, it is imperative that you reach out to an experience and licensed attorney as soon as possible. Learning what your legal options are up front will allow for you to get the best outcome possible. Alex Hernandez Trial Law has been serving San Antonio, Victoria, Corpus Christi and more as a trusted personal injury lawyer for years. We pride ourselves on offering the very best legal services to our clients so that they can get the best outcome possible from their personal injury case. Learn more by calling us today!